Air conditioning installation is a big step towards your home comfort, but can be a big financial step too. As summer closes in, the old and inefficient air conditioning systems across Perth are being replaced with newer, more powerful and energy efficient systems. How can you be sure that you’re making the right decisions for your home air conditioning installation? Here are our major points of consideration, as you start sourcing solutions for your home climate control. The placement of your air conditioning condenser will have a huge effect on its shelf life. Bright, direct sunlight could lead to failure due to overheating, and this can be an expensive issue to fix, and any potential for blockages should be checked for and removed. Air conditioning is an investment, but this comes with a price tag. However, the use and efficiency of the unit outweigh any costs as a cheap air conditioning alternative may end up stinging your back pocket more over time, and a technician’s advice is extremely valuable to avoid future problems. Talk to your installation specialists about the costs involved, to avoid any nasty surprises at the end. So you’ve got your new unit, and now you have the options for some add-ons. Features like the addition of a heat pump can add value to your home air conditioning, as you prepare for the chilly Perth winters waiting ahead. 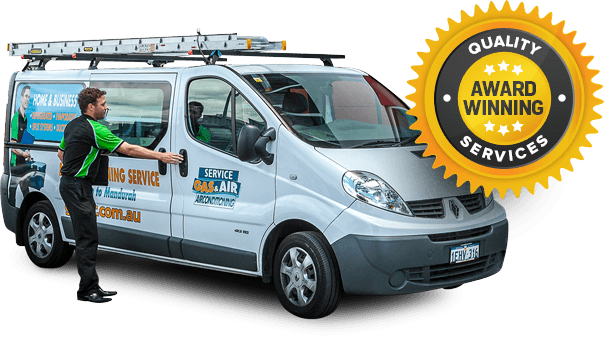 For more tips on air conditioning selection and installation, read our other blogs at GasAir or talk to our friendly Perth team of technicians and specialists. GasAir is proud to offer West Australia helpful advice, great products, and exceptional servicing and maintenance options.